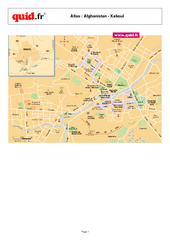 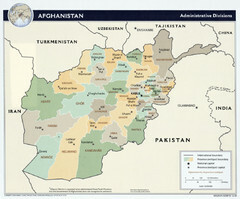 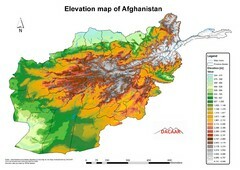 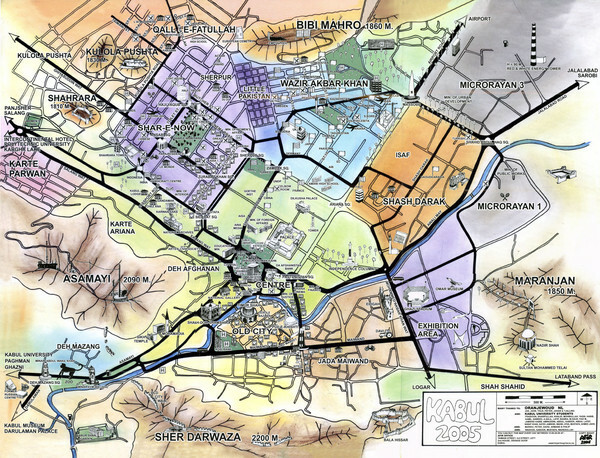 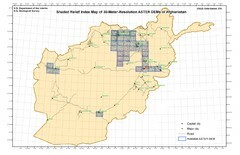 City map of Kabul, Afghanistan. 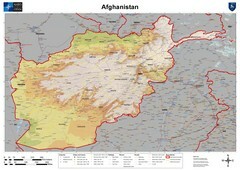 Neighborhoods are shaded. 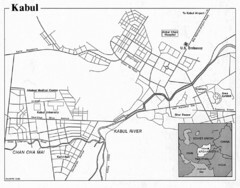 Shows points of interest, restaurants, and embassies.